I first met Bella Gonzalez a few years ago, when were both Honors College students at Ole Miss. A few years ahead of Bella in school, I have kept up with her journey to graduation and entrepreneurship on social media, and I am beyond impressed. A double major in marketing and art, Bella turned her senior thesis into a full-fledged business. Known as Lala Letter, this brand offers beautiful—and extremely useful—calendar year planners. When Bella reached out asking if I wanted to collaborate, I was flattered. I had as much fun styling and shooting this planner as I know I will using it in 2019. From photography and my full-time social media gig to grad school and setting aside time with friends and family, my life calls for a lot of planning. Knowing Bella, as the designer of the ultimate planner, also has a trick or two for balancing a heavy workload, I wanted her to share her advice as well. Bella’s main tip is to consider both time management and task management when planning for and working towards your goals. She uses her planner to list her tasks, while she sets reminders on her phone to help her stay on time and on track. “If I have a task to have a call with Teresa, I also have to make sure I’m on time with it as well, so I like to combine technology and physical resources like tangible planners and to-do lists, to stay truly on top of all of the things I need to do,” Bella explains. Beyond managing tasks and time, I also asked Bella how she stays motivated to keep pushing towards her goals, especially when the going gets tough. “On the outside, I might look like the type of entrepreneur that can take anything and keeps pushing no matter what, but that has not always been the case,” she admits. I love her honesty and am intrigued to hear more. In the Instagram-perfect world in which we live today, it’s easy to forget that what you see on the surface isn’t necessarily a reflection of the hard work and challenges a person might be facing behind the scenes. For Bella, it’s all about having the vision of what could be and working towards that, no matter what comes her way. Wow, what inspirational advice from an entrepreneur who is seeing her Plan A through to its fullest potential. 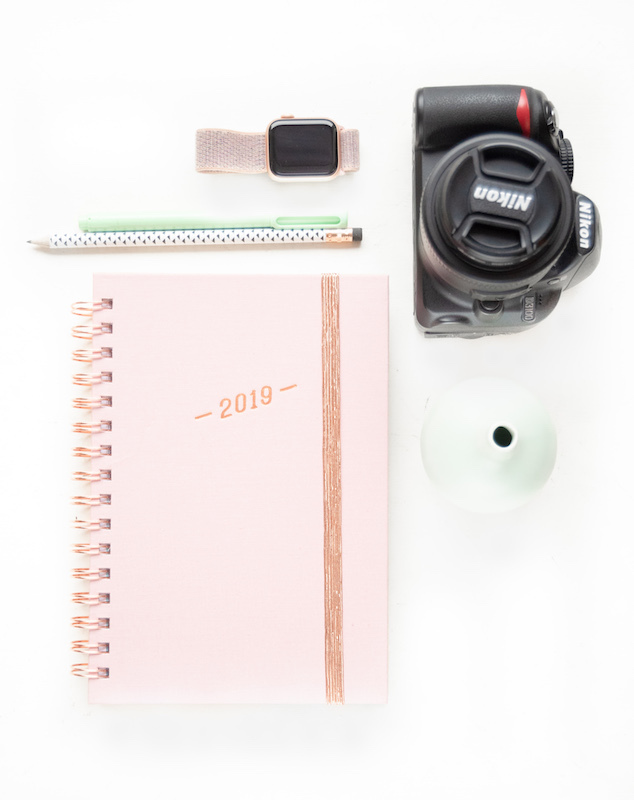 This Lala Letter planner and a pep talk from its creator has me ready to tackle 2019, and I hope you feel the same after hearing a little bit from both of us on how we work towards our goals and manage our time. I would love to hear how you make things happen too! Leave a comment if you’ve got a tip we could all use for a productive start to 2019. Happy New Year!